Kaliningrad remains isolated from the rest of Russia, hidden among rivers, lagoons and estuaries. It is the capital of the Oblast region and preserves memories of an old Germany, when the city was called Königsberg and was submerged in wars and conflict. Seven decades later, Kaliningrad is one of the most visited destinations in Russia, considered one of the most important port cities on the Baltic Sea, bordered on the south by Poland and North by Lithuania, Oblast is the westernmost side of the Soviet nation. Nature was generous in its passage through this corner of Russia, its beaches enjoy a crystalline and splendid layer of sand, its landscapes of dunes decorate landscapes and the Natural Park of the Peninsula of Curonia is an exemplary ecosystem (declared a UNESCO World Heritage Site in the year 2000). Undoubtedly Kaliningrad’s greatest pride is amber, a 40 million-year-old semiprecious jewel, made of tree resin and fossilized product, also called Sunstone, Kaliningrad honey or tree gem. Normally it is a light brown tone although there are yellow, green and honey tones as well, the Baltic Amber receives the name of Succino and turns a warm brown color, it can be found in the Baltic Sea sand. Don’t miss it at the beautiful exhibition at the Amber Museum. Spring begins in March, cold and with a frequent wind, then it becomes a pleasant and often very sunny season. 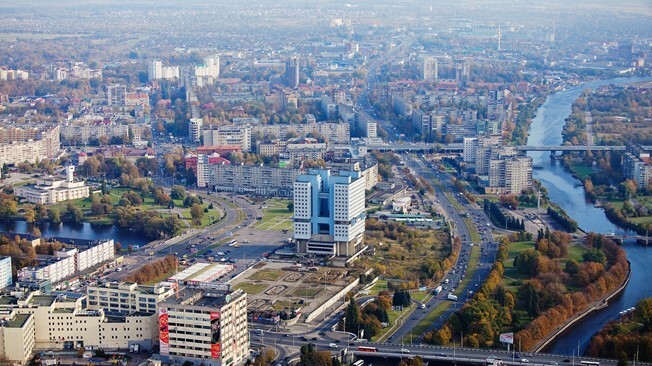 In June the summer begins, it is predominantly warm with a lot of sun but also heavy rains; autumn follows in September, it is warm and sunny during the first days, while winter lasts from December to March and includes periods of snow with a low temperature of -15 ° C.
Kaliningrad is ready to host the World Cup. 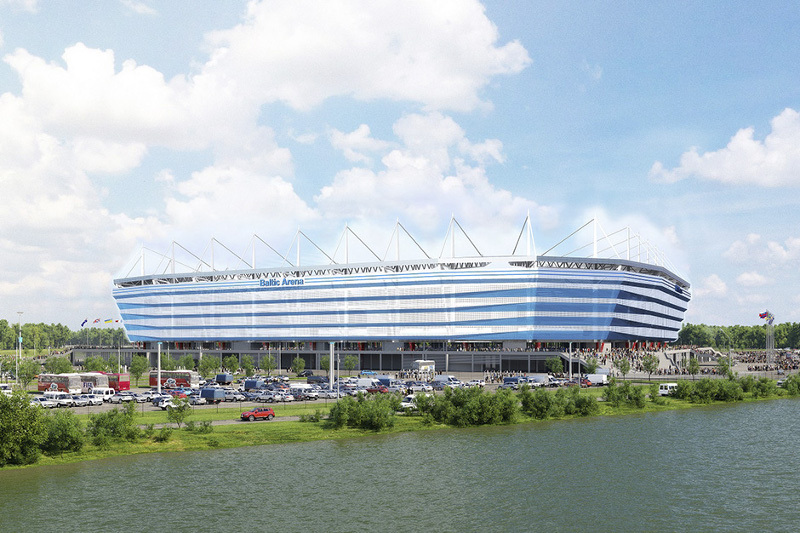 Next June, the Baltic city will welcome fans from all over the planet, with Spain and England testing the grass of the recently completed Kaliningrad Stadium. 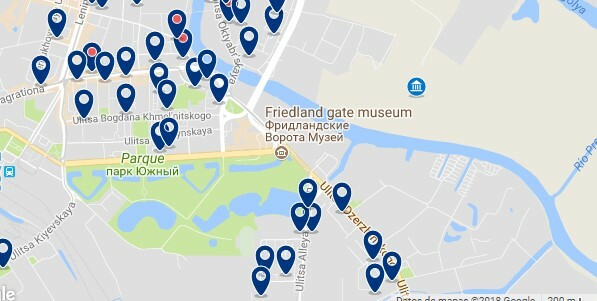 It is better to hurry, to look for the best area to stay in Kaliningrad and the best accommodation to enjoy the World Cup (See hotels around the World Cup Stadium). Keep in mind that accommodation prices may change on the eve of the World Cup, rates may increase. Kaliningrad has a variety of areas to stay and meet the needs and interests of all types of travelers. 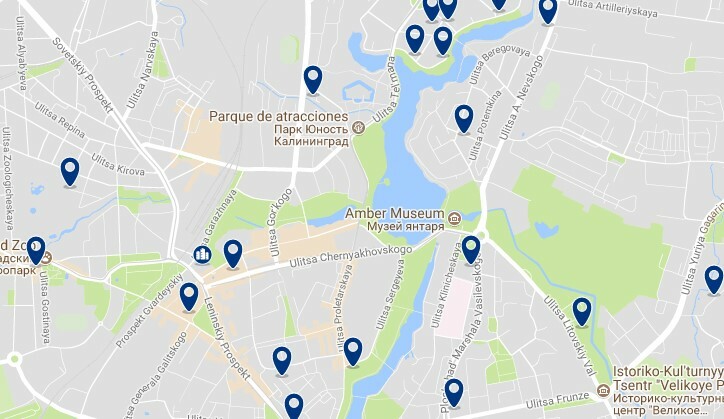 The center is one of them, not only is it located relatively close to the rest of the neighborhoods, but it also has the best of Kaliningrad at hand. 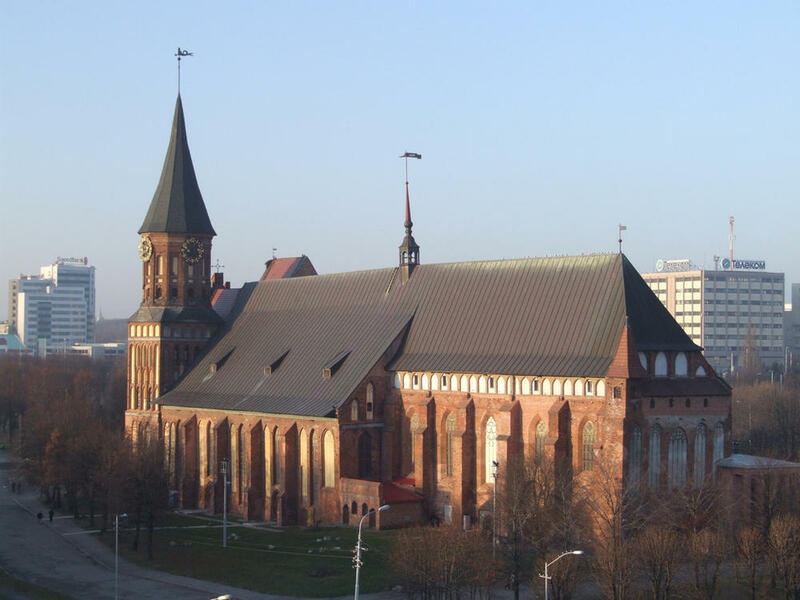 A good alternative is a few meters from the cathedral, its transport connections are great and it’s the best area to stay if you plan to visit Königsberg Cathedral and the Fishing Village. The cathedral is a reminder of the Teutonic order, a relic of memorable ages and an authentic medieval treasure, it was an exclusive house of worship for the knights of that Russian royalty. Illustrious characters of the former Soviet Union remain buried in its foundations. Such as the first ruler of Prussia, Duke Albrecht legendary teacher of the Teutonic Order and Lutter Von Braunshvayt founder of the cathedral. The beautiful Konisberg Cathedral is located on the Kant Island, named in honor of Immanuel Kant, famous hero and philosopher, native of the city. The tomb of the Russian intellectual is displayed in the cathedral next to the museum also created in his honor. Just a few meters away, the Fishing Village offers shopping, food and even accommodation. You can find everything from budget hotels, cheap apartments to luxury hotels and suites. It is the most expensive area of ​​the city, thanks to its central location and even more on the eve of the World Cup. Skipper Hotel, with views of the Pregol River and the Kneiphof Island and its cathedral, it offers cozy accommodation with free Wi-Fi and satellite TV. In addition, it houses the Rybny Klub restaurant, which has a bar. 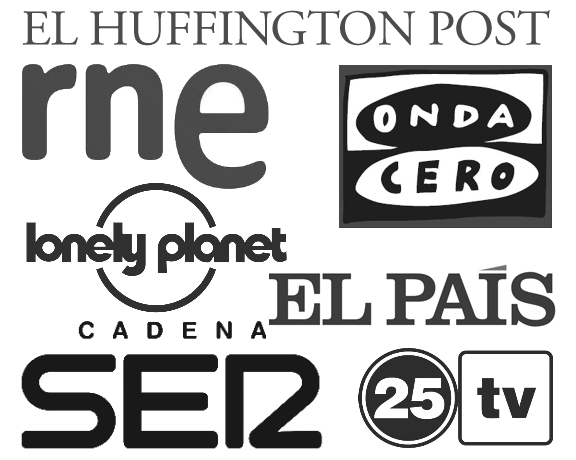 – from €57. Vityaz Guest Cabins offers accommodation in cabin in Kaliningrad. The property is part of the World Ocean Museum. The Vityaz boat offers separate rooms with shared toilet, showers and kitchen. – from €18. Ibis Kaliningrad Center is just a 10-minute walk from the Konigsberg Cathedral and offers free Wi-Fi, as well as a bar. There is also the Sud et Cie restaurant, which serves Mediterranean cuisine. – from €47. It is one of the 12 venues of the World Cup, specially built to host the event. It was built in November 2017 on the shores of Oktyabrsky Island and near the banks of the Staraya Pregolia River. It has all the necessary characteristics to be considered a world-class stadium and has a capacity close to 35 thousand spectators. Not only does it offer convenience and ideal facilities for professional football, it also adapts to the practice of other sports competitions, concerts and events. The stadium is one of the causes of the recent remodeling and modernization of the city, as very few expected it to be chosen as the venue for an event of such magnitude as the 2018 World Cup in Russia. Public transport in the area is not the best in the city, the nearest two bus stops are 20 minutes away, and the Konisberg cathedral and the most dynamic area of ​​the city can be reached in half an hour on foot. As a solution to its remote location, authorities built a residential complex with parks, docks and jetties in order to offer a comfortable stay to each visitor. Zolotaya Buhta offers classic-style rooms with free Wi-Fi and offers fusion cuisine and a 24-hour front desk. It is a 2-minute walk from the Kaliningrad Philharmonic Hall. – from €57. In short, the best accommodation is in the center of the city, much larger than in other European cities. “Kaliningrad honey” caused a stir in the 8th century, which led to the inauguration of the first and only Russian amber museum. Located on the shores of Lake Verkhneye, inside the Fortress Tower. Its exhibition recounts the process of origin of amber and its extraction, it also has a collection of objects from the seventeenth century, insects and plants encapsulated in pieces of amber and exhibits jewelry from almost 45 million years ago. 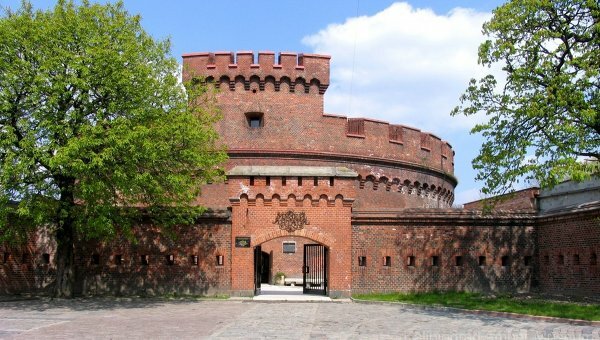 It is located in the historical-cultural section of Kaliningrad, some of its neighboring monuments are the Oberteich Bastion, the Vasilevsky Monument and the Rosgarten Gate, a few meters away are the Immanuel Kant State University, the Kaliningrad Regional Museum of History and the Art gallery and to enjoy the fresh air, the leisure center opens its doors to the general public. Hotel Dona is located opposite the famous Kaliningrad Amber Museum and offers an Italian gourmet restaurant with a summer terrace, soundproofed rooms with free Wi-Fi and free secure parking. – from €43. The west-south of the Baltic city is characterized by highways, roads and a historic meeting point around Brandenburg Gate. Brandenburg Gate is the only survivor of the seven gates built to preserve and protect the integrity of Königsberg during war times. 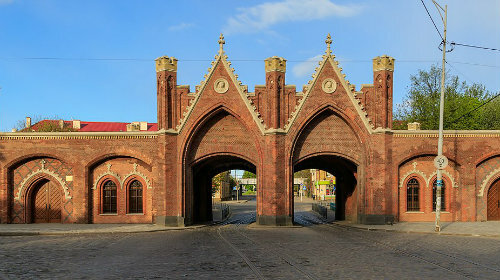 The gate has been restored on more than one occasion, in principle it was made of wood, after brick and nowadays it has firm concrete bases. Staying around Brandenburg Gate has its advantages, the first is its proximity to the southern bus and train station (“South Kaliningrad Railway Station”) only seven minutes away, another perk is the communication with the main highway of the city and finally, it is a great place to stay if you plan to move around this area of Russia. Hotel Marton Palace is a modern 4-star hotel, located in the business district of Kaliningrad, close to the Sagrada Familia church and the Konigsberg 6 bridge. Yuzyhnny bus station is 500 meters away. – from €43.